This swing set accessory is installed over the beginning of your oudoor slide. It provides that extra boost of speed, and a grip of security. It is perfect for aiding less physically capable children as well as those who have a need for speed. Both you and your kids will enjoy the security and fun that the handle provides for the first plunge down the slide, and all plunges that follow. 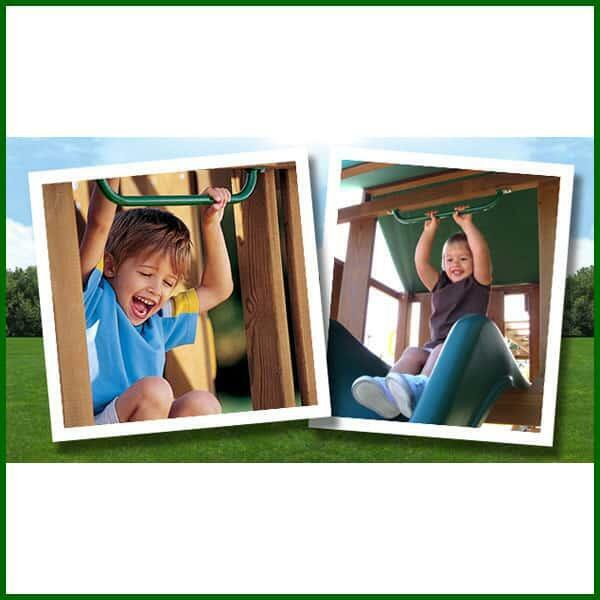 This slide handle can bolts directly into most wood swing sets and is made from heavy duty galvanized steel. The slide handle is easy to install and comes complete with all hardware necessary to function.